This is by far one of my favorite projects to date. I am so so happy with how this turned out! This cupboard is so functional, and yet such a bit of decorating eye-candy. I wish I had "during" pictures to go with this post, but this was before my days of blogging. So, here's my tiny bathroom. And here's my solution to finding more storage for this bitty space. I simply used the space between the 2 by 4's in the wall, to create this one of a kind medicine cabinet. While we were building our home, I took pictures of all the walls (after the electrical work was done), so I would know if there were any wires back there. Just in case of projects like these. I cannot tell you how much I love having all these little cluttery items hidden away! 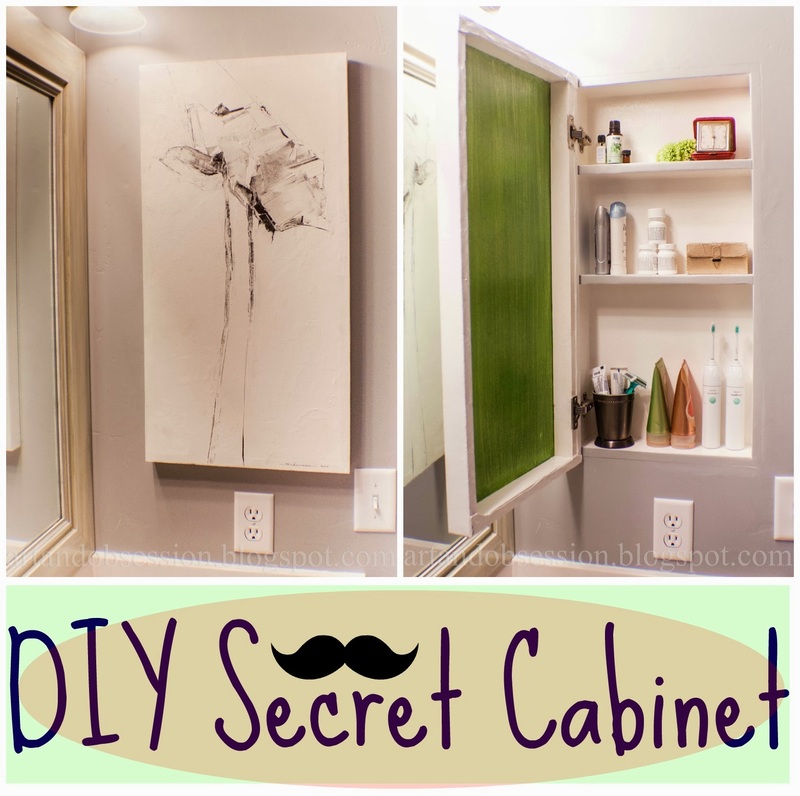 I also love how the painting is the perfect disguise for the cabinet. 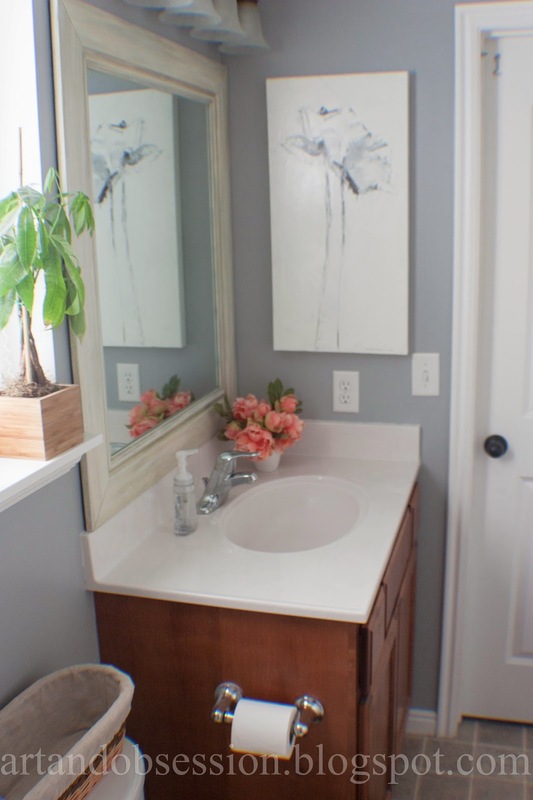 Such a great alternative to the standard mirrored-pop-out-of-the-wall medicine cabinets. this will always fit the color scheme. I remember trying to find your secret cupboard in your bathroom...it was not that easy! So cool & amazing!